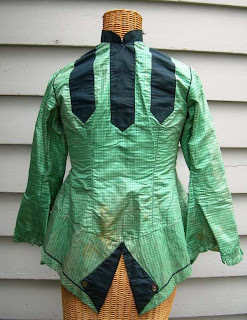 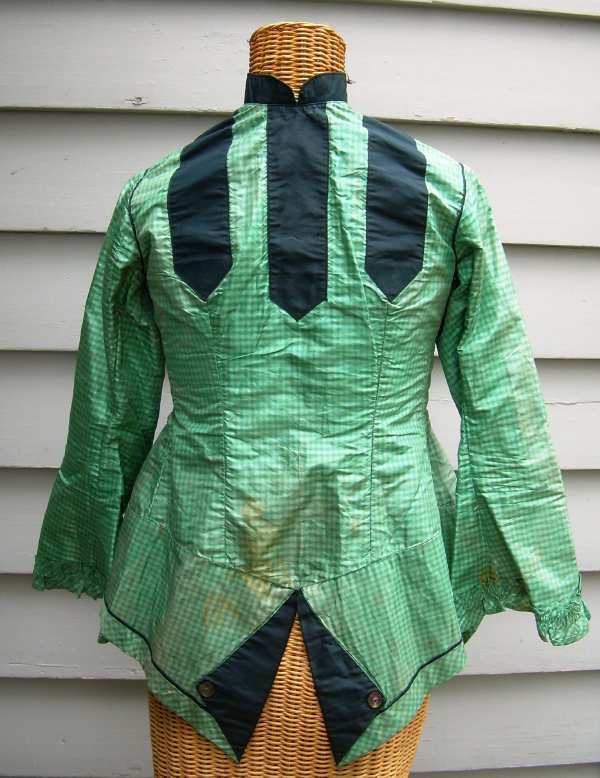 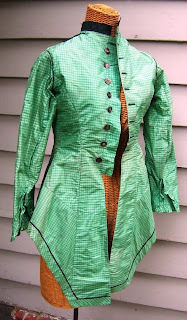 Green plaid silk with black silk trim and lined in brown cotton. 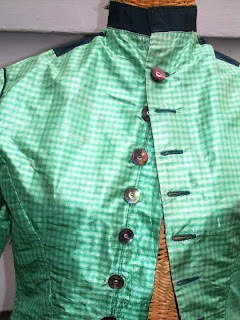 Has all 8 original mother of pearl buttons in front and 2 on tail. 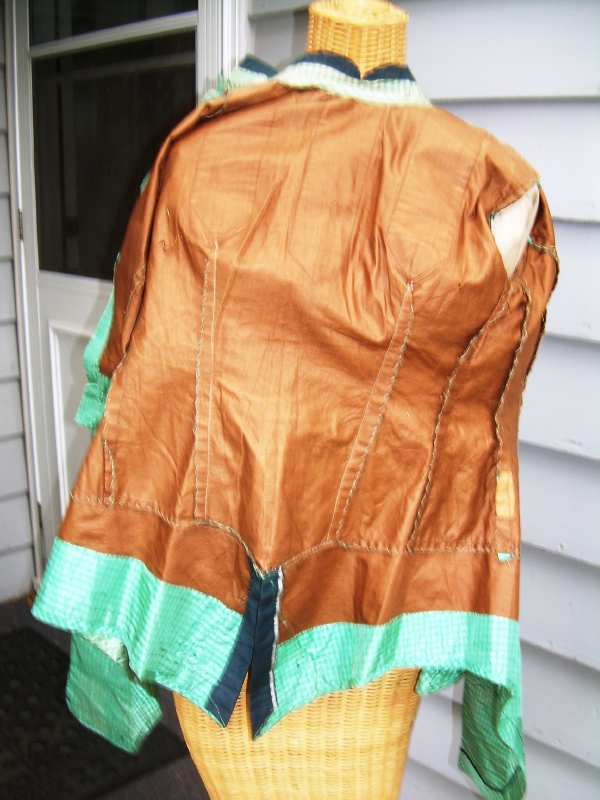 Silk is in good condition. This is so cute. 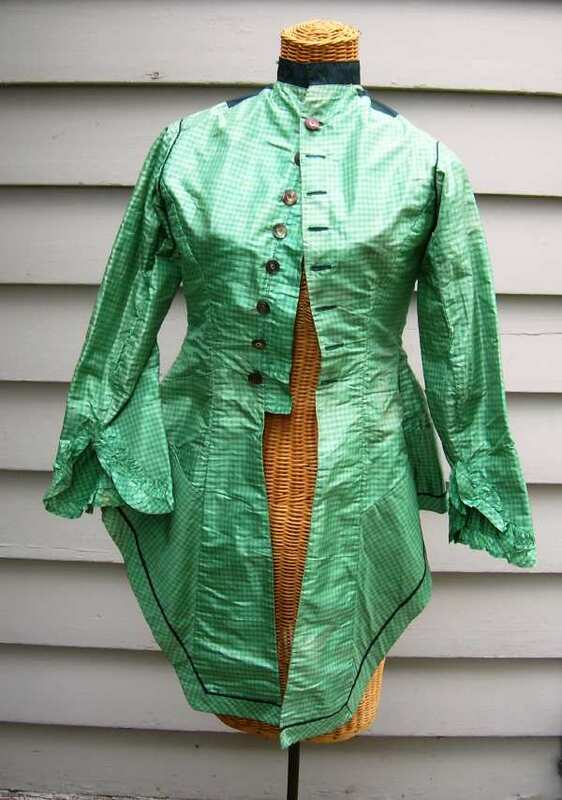 I'm sure the skirt that went with it was equally as lovely.